Fityle 3W Swimming Pool Underwater LED Buried Underground Warm White Waterproof | Fountain City Art Ctr. 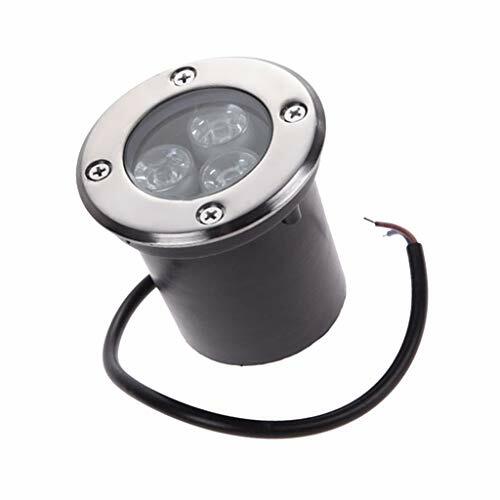 - 3W LED Light Source: Energy saving, environmental friendly, easy control and no ultraviolet. - Each light comes with 3 LED bulbs. - Made of high light transmission glass efficient reflectors: with quite good illuminance. - High constant current technique: Ensure each LED light to work steadily so as to serve a long lifespan. Each light comes with 3 LED bulbs. 3W LED Light Source: Energy saving, environmental friendly, easy control and no ultraviolet. Made of high light transmission glass efficient reflectors: with quite good illuminance. High constant current technique: Ensure each LED light to work steadily so as to serve a long lifespan.